YouTube Go was announced at Google for India back in September 2016 and the app has been available in Beta since then. Information circulating the internet suggests that the app is now available for download and is out of beta. However, as of writing this article, the app still shows as an unreleased beta app in the Google Play Store. Speaking of the app, it boasts of some interesting features including improved recommendations, video previews before saving or watching, sharing via Wi-Fi Direct (if the receiver has installed YouTube Go as well), and more. The service also lets users choose the resolution that they want to save a video in. The YouTube Go app is the simplest version of YouTube directed at users who do not have access to fast internet. 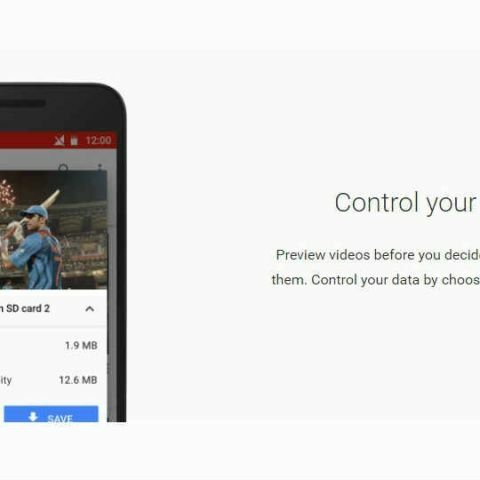 The service will let you see a preview of the video and then give you two quality options to download the video and watch it eliminating the need to wait for the video to buffer. The idea behind the app is offline-first. You can read about YouTube Go's UI and functions in our first impressions here. You can also see the difference between YouTube Go and the regular YouTube app here.